The 2019 Freshwater Fishing Digest is available on the DFW website in PDF and on the publisher’s site in an interactive format. It will arrive in stores early next week. 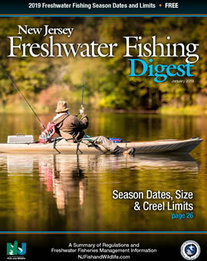 The Digest includes articles on popular waters you may not have fished, fisheries project highlights, and kayak bass fishing in addition to regulations.